The one thing I dread about attending any formal wine industry discussion is that corny cliché of “South African wines are too cheap” and producers must therefore simply go ahead and raise their prices. Just like those who encourage the eradication of “boring commercial” grape varieties such as Sauvignon Blanc, Merlot, Chardonnay and Cabernet Sauvignon and propose replacing them with trendy Trousseau, Cinsault and Verdelho, the urge to raise price is usually made by folk without any real economic dependence on or general clue of the business side of the wine industry. As research has shown, 85% of wine in South Africa is purchased by ladies and gentlemen who deem price to play a far greater role in their buying habits than 100pt scores, edgy social media campaigns and lyrical, pants-wetting vinous terminology. So the decision to raise price can and should not be taken lightly. Internationally the challenges for South African wine to play in the big leagues is as great, if not greater. A restaurant buyer or retailer in New York has – generally – a tough time trying to flog SA wines at, say, US $80 dollars, to clientele who have the best of France, Spain, Italy, America and Germany to their disposal at the same price. Unless, of course, you can give them something that shouts South Africa, has the sheer quality to grab the consumer by the throat and gives anyone who crosses the wine’s path that “one-of-a-kind” sensation. This year, I am rooting for Pinotage to do this. And two top-end Pinotages priced luxuriously at levels these wines really deserve. My enthusiasm is underscored by the fact that they are about as similar as George Clooney and Taylor Swift, but proudly stand under the banners of South Africa and Pinotage. First up is the Ashbourne 2015, Hemel-en-Aarde grapes made by the Hamilton Russell gang including winemaker Emul Ross and Anthony Hamilton Russell himself. Emul may have physically made the stuff, but was driven by Anthony’s vision and ethos and – who knows – possibly a few jabs from a hand-made, limited-edition Laguoile knife. 2015 was a cool, balanced and elegant harvest, and as we know by now the soils of Hemel-en-Aarde are not famous for the kind of friendly fertility that makes growing conditions breezily pleasant. Under four tons a hectare from this Pinotage vineyard, 10 months in 400l French barrels of which 40% was new and the rest 2nd fill. Then back into a cavernous foudré for finishing. 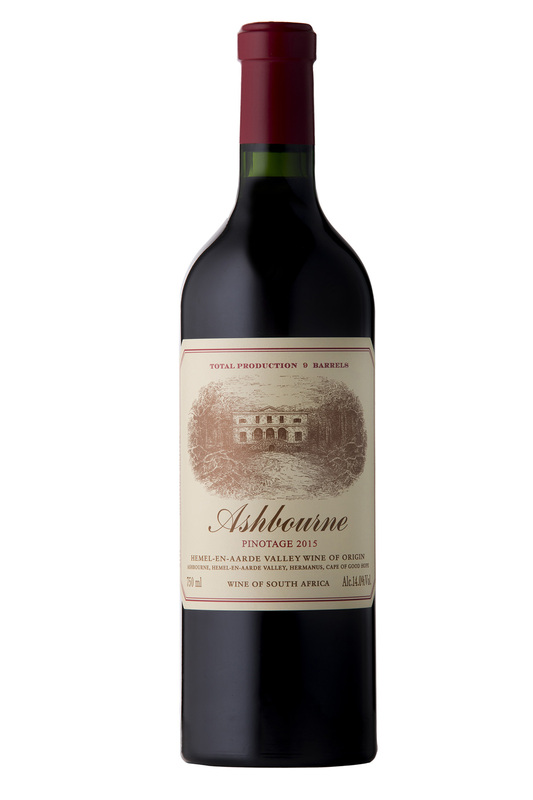 The result is Ashbourne 2015 Pinotage, released in October this year, and a world-beater on many fronts. For me, the enticing aspect was the cool, kelp bracing aroma I got after the purple-black juice had been splashed in the glass, colour and aroma commanding immediate attention. One had to look hard, but yes, there it was. Lying behind the intoxicating, raw smells lay a barbless Pinotage hook. Like running into an old friend in a crowded Burgundian wine bar, there appeared the slightly edgy, familiar aroma of half-dried game biltong and baked nutmeg. Palate-wise, the wine is immensely rewarding. The roar of the aromas continued to break into the mouth, leading to countless, immeasurable waves of enchantment. Salty dried Boston clams mixed seamlessly with umami-like tufts of nori; cold wild raspberry cordial had been exposed to black truffle and a wad of dried fig-paste was sped forward by a rivulet of the juice one finds at the bottom of a pan on which a leg of young deer had been roasted, medium rare. The wine is an awe-inspiringly sensual drinking experience, heady flavours and visceral tastes held together by a perfect palate-weight of silk, scented body oil and eagle feathers. All brilliance, and a show-stopper in any language and any price – in this case R750. What richness to, a few weeks after experiencing the Ashbourne 2015, head out to Kanonkop in Stellenbosch for the annual launch of its Black Label Pinotage. A single-vineyard wine from South Africa’s leading red wine estate, the Black Label will set you back R1 750 a pop, price determined by the extraordinary demand for this wine since the maiden 2006 vintage. I have had the pleasure of recently tasting Black Labels back to 2006, and although it needs a few years to get going, the 2016 is possibly the most accessible vintage to date. 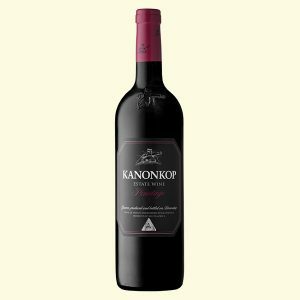 Not exactly what I was expecting from a year which Kanonkop winemaker Abrie Beeslaar called “disastrous” due to the hot, dry conditions. The wine is made from that old Pinotage vineyard planted in 1954, yet fortunately the marketing spiel does not include any of the current over-hyped Old Vine hysteria doing the rounds. Crushed and manually punched-down during ferment, the wine spent 18 months in new French oak. 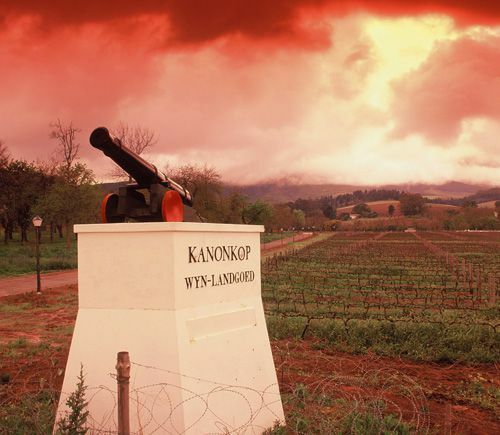 With so many wineries now promoting an increase in the use of 2nd and 3rd fill, Kanonkop sticks true to its guns: If it wants to be good, keep it all in new wood. Of course, this be a massive wine – dense to the eye, almost blue-black, the colour of a bruise on the face of an albino middle-weight boxer after receiving a solid left hook. On the nose, the wine is pretty quiet, but once tasted you see why. Tannins are softer than the feathered stomach of a foie gras goose, and on first impressions it is like inhaling wine-flavoured candy-floss. But then the Pinotage takes hold, and off we go with the chic and refined riffs of classy wine made from the variety. In the centre of the gentle tannins lies a fruit-core exuding sun, life and warm Simonsberg mountain rock. A bit of all-spice on the edges gives a Gevrey character, and a forest floor presence can be detected while feasting on the orchard bearing firm juicy cherries. The texture is dense, and luxurious without being too persistent, while the finish is surprisingly brisk and clean. If you can make wine like this, charge what you want. Otherwise, easy-steps might be better and less harmful.